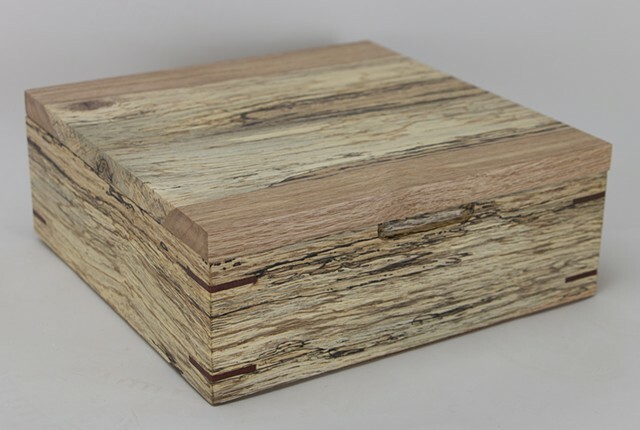 D 10" W 10" H 3.75"
This jewelry or keepsake box is made of unusual spalted red oak. The sparting imparts a variety of colors and patterns to the oak. The inside bottom of the box is lined with red velvet. Trays can be provided for an additional $40.